A few weeks ago, I shared a sneak peek of my Christmas tree featuring our dog Walter. Truth is, I’ve never set up my holiday decorations before Thanksgiving but this year I couldn’t contain my excitement! For years, I’ve been a fan of Balsam Hill, admiring their swoon-worthy decor on social media and commercials on TV. I’m ecstatic to announce that I’ve been able to partner with them to spread holiday cheer with my new holiday decorations! 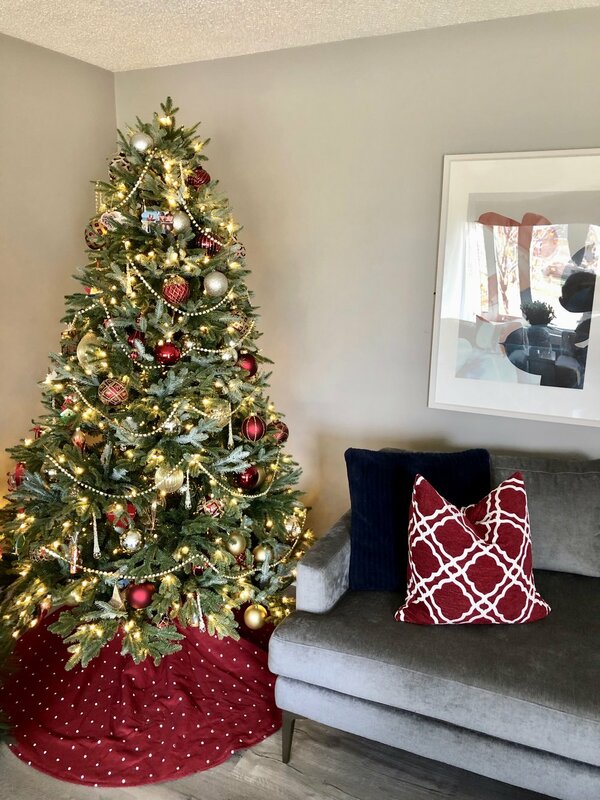 Another reason I’m excited to share my decorations with you all is because Balsam Hill is featured in three of Hallmark Channel’s new Christmas movies this season! Christmas Joy, Christmas on Honeysuckle Lane and A Shoe Addicts Christmas were all new additions to Hallmark’s Christmas movie selection. Our signature Brilliant Bordeaux ornament set is featured in Christmas Joy (premiered 11/3) and A Shoe Addict’s Christmas (11/25). 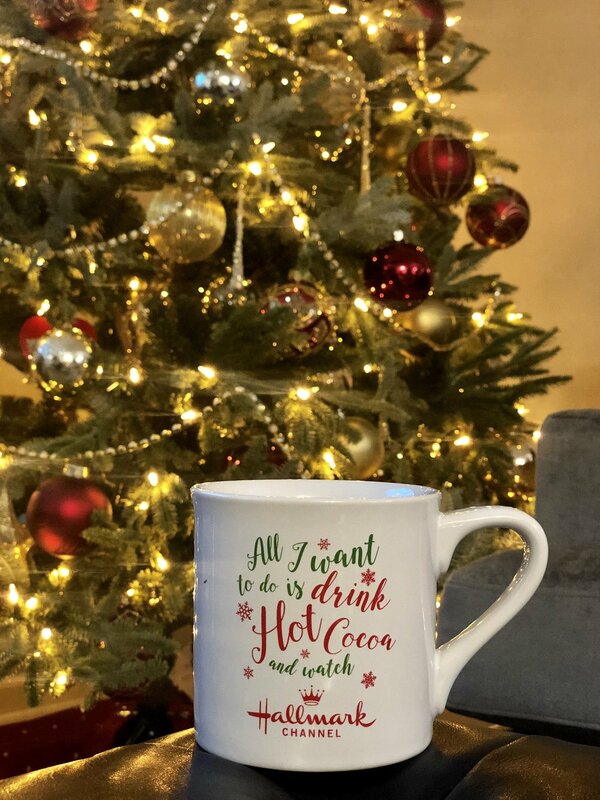 As we arrived home from our Thanksgiving vacation, it was so nice to be able to snuggle at home with the tree up, kick back with some hot cocoa and enjoy Hallmark Channel movies. We recently re-did our living room so this is our first Christmas with our new living room, it just feels so much more cozy! What do you think our new holiday look? Leave your comments below! A special thanks to Balsam Hill and Hallmark Channel for collaborating with me on this post!